Students age 15-26 need time to practice what they’re naturally good at. I’m not just talking about sports and musical instrument practice. I’m also talking about other kinds of talents and interests, like computer programming, communicating with special needs kids, leading others in work on big projects, building robots, and writing short stories. Kids who end up succeeding in big ways often start developing their natural talents very early on. Problem is, kids can’t start developing their natural talents very early on if they don’t know what they are. This is why I’m adamant that I want students to take three specific strengths, personality, and interest assessments at age 15, or as soon as possible after that. 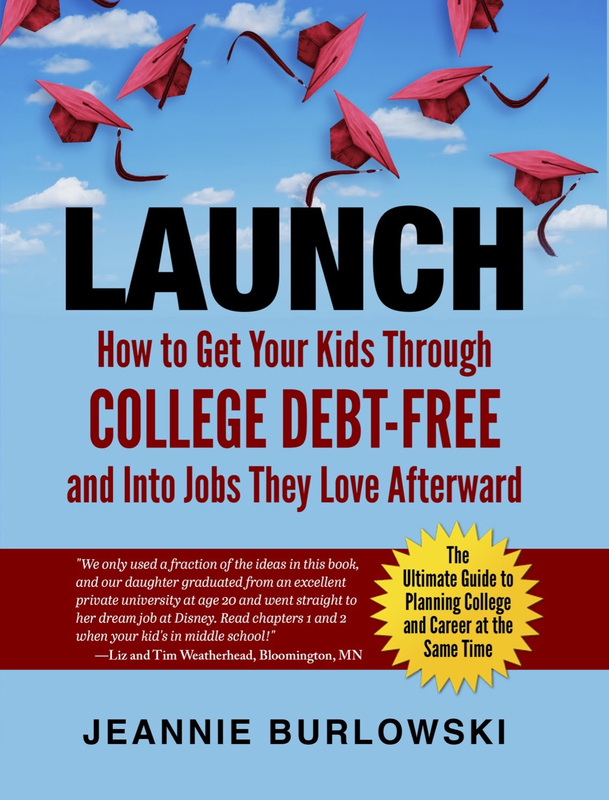 I explain exactly how to get this done in chapter 13 of my book LAUNCH: How to Get Your Kids Through College Debt-Free and Into Jobs They Love Afterward. If your daughter can do this, she’ll end up being a highly desirable college and grad school applicant, she’ll be an astoundingly strong candidate for college scholarships, and she’ll have more fun during the years of age 15 to age 22. Why? Because practicing what you are good at and naturally interested in is one of the happiest, most fulfilling things a person can do in life. Remember, if your child’s area of talent and interest will eventually require the polish of a college education, it’s important for him or her to learn high-end college study skills very early on — preferably in middle school. Sign up for my free Monday morning email updates on this website, and you’ll find out when I’m next teaching my one-evening class for students entitled THE STRATEGIC COLLEGE STUDENT: How to Get Higher Grades By Studying Less Than Most Other People. You can see 7 reasons why your middle schooler needs a class like this here. You can see parents and students raving about this class here. The class is available both live and online on two different dates each year. 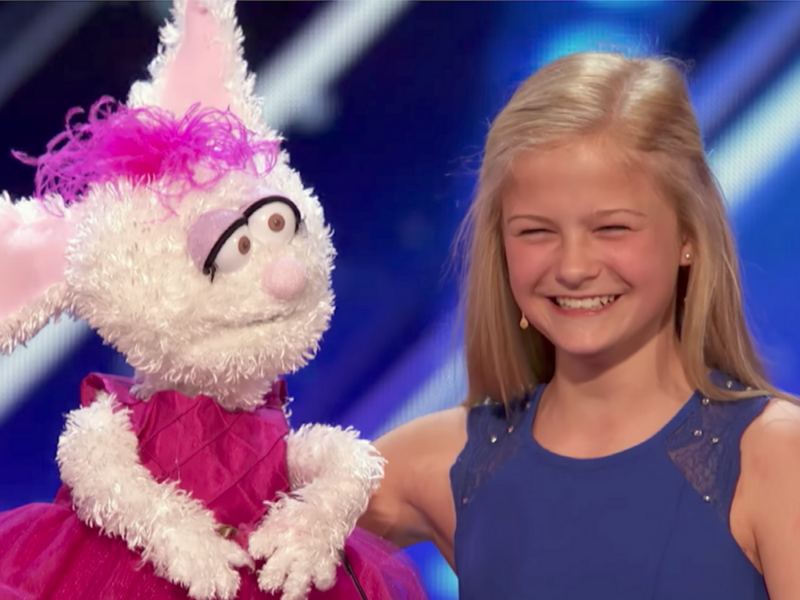 Wow–this young #ventriloquist wowed the crowd on @AGT. Could your kid start #practicing #CAREER skills early on? What about you? How has identifying what you’re naturally good at and practicing that on your own helped you? What other career prep strategies have you found that really work? Comment below or LIKE Jeannie Burlowski Author on Facebook, find this post on that page, and let’s talk about it there. I was actually watching this little entrepreneur on the phone with my 6 year old daughter, she had never seen a ventriloquist. I never even thought about what an anomaly she is that she’s been practicing career skills at an early age. Your book is the best book about college scholarships – and the best guide on how to get through college without debt! This was fun Jeannie – thanks for writing. Rob, I am so glad you loved this and that you found it inspiring for your daughter!